The Contender Round kicks off this weekend at the Bank of America 500! 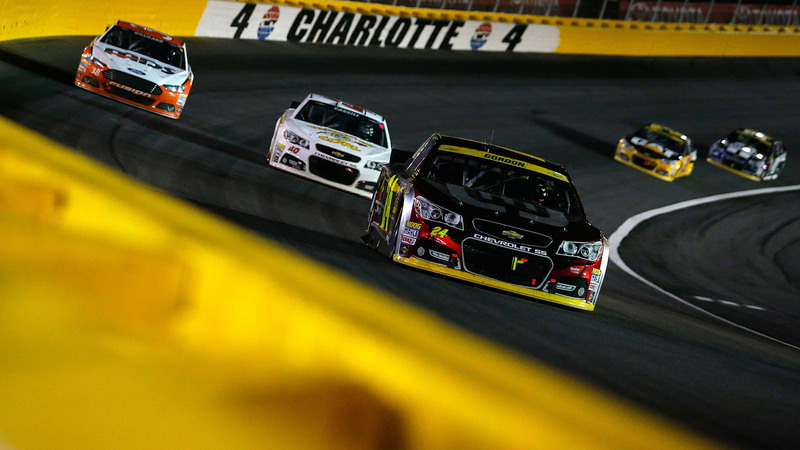 So you don’t miss a second of the action, here’s your full NASCAR television schedule for Charlotte Motor Speedway. FOX Sports GO, the app that provides live streaming video of FOX Sports content, offers live streaming of the race, as well as all practice and qualifying sessions telecast on FOX Sports 1. Customers of participating video providers may access the live streams of the race through the FOX Sports GO app for iOS devices, as well as on desktops through FOXSportsGO.com. FOX Deportes also telecasts the race live.